You know you work in France when lunch conversation focuses on wine and...socks. Maybe age has something to do with it. Remember the 2000 movie The Intern? The film about a girl paying her dues in the shallow world of fashion magazines? Here’s the 2010 version: La Mom’s Interns. It’s a film about a woman who works with shallow interns. While having lunch at the company cafeteria last week with two stagiares on my team, it dawned on me that they don’t make interns like they used to. Here’s the deal: my interns have a better life than the other young professionals on our floor. Oh, who am I kidding – these scions of French banking families have a better life than La Mom. La (Student) Mom: I’m getting such great experience working here. Kim: What are you doing after college? La (Student) Mom: Looking for a job that will send me to France one day. In the meantime, I’ll join the Alliance Française for access to French movies and French guys. Kim: Seems like a win-win situation! Plus you get to practice your French. La (Student) Mom: Oh,it is! J’adore foreign tongues. Especially when they’re attached to hot guys with cute accents. Intern Philippe: I can’t believe the cafeteria is serving 2007Bordeaux wine. Everyone knows that year had a bad grape harvest. Intern Luc: That’s why they’re serving it – it’s cheap. Philippe: Speaking of wine, La Mom, do you mind if I take Friday off? My dad’s having his birthday party in Tuscany this weekend and his private jet is leaving Paris with the family in the morning. Luc: Pheel, what’s up with your socks? They’re so ugly! Philippe: Mais non, tu déconnes, you’ve got to be kidding! These are pure cashmere socks. A few of these cost more than my iPhone. Luc: Do you realize they are bright orange – and ugly? Where’s your taste? Philippe: They’re from Hermès! Where do you buy your socks? Luc: The Cashmere Shop, Brompton Road, London. They only sell genuine Scottish cashmere socks that are délicieusement soft. And that’s the very fine line between interns and their bosses. Their socks. Frank Sinatra loved Paris in the springtime. Wish you could spend spring break in Paris, but can't afford the trip? Enjoy your stay-cation with a rendez-vous at La Mom's blog every week or follow her Parisian adventures on Twitter! 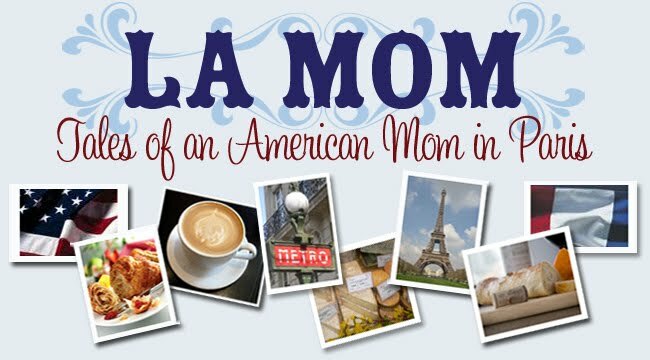 La Mom's your best friend in Paris - without the international phone bills! oy! i loves me some champagne and croissants but that conversation would definitely have me inside a big bag of doritos! it's all about staying grounded! but it's not just (bcbg) french kids these days! hehe very accurate. I would just substitute hermès scarves for the hermès socks for women when I was interning at L'Oréal and it's dead-on. Great post! Hilarious!! La Mom - my fiance and I are planning our honeymoon for this October - and suggestions?! We've traveled pretty extensively through Europe, so have been thinking about possibly Capetown, South Africa or Australia - but are open to other ideas! Congrats on your engagement and bon voyage!